I know this post [Is it possible to label bar charts? addressed a similar question years ago, but it was unanswered, and maybe the program has evolved since, or someone has find a better solution. I'm using QGIS 3.4, but this answer should also be possible in 2.18. Unfortunately it doesn't look like there's a way to directly display the histogram values as part of the histogram. A workaround is to add field values as labels, and manually adjust the placement settings until they line up with the corresponding part of the diagram. For example, I used multi-line labels with a horizontal histogram. It should be possible to this in any orientation, though. As you can see the labels aren't perfectly aligned, but I set this up in just a few minutes. You can achieve better alignment with trial and error. Use the concat() function to concatenate the fields into one long string separated by any one character. Then use that character as the line separator. 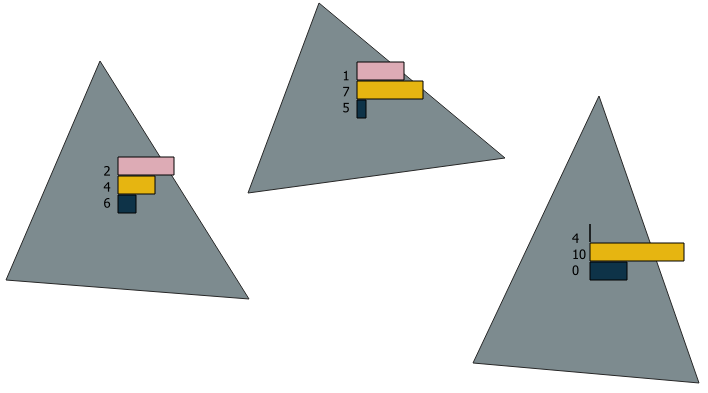 Label placement: offset from centroid. Use trial and error to figure out the best values for X,Y Offset (I used X: -3mm, Y: -7mm). with default-width bars (5mm) and with scaled size with a bar length of 10. Diagram placement is "Around centroid". Not the answer you're looking for? 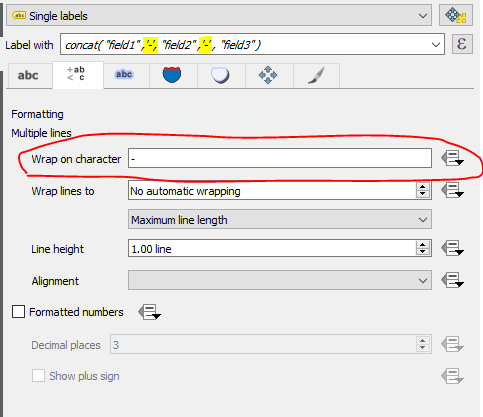 Browse other questions tagged qgis labeling chart histogram diagram or ask your own question. Is it possible to label bar charts? 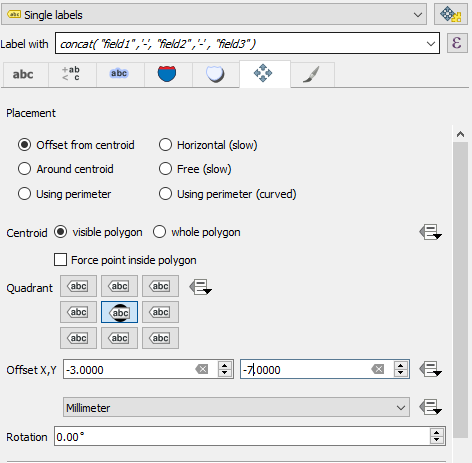 How to NOT show decimal values in TileMill when using gdal_contour generated contours? 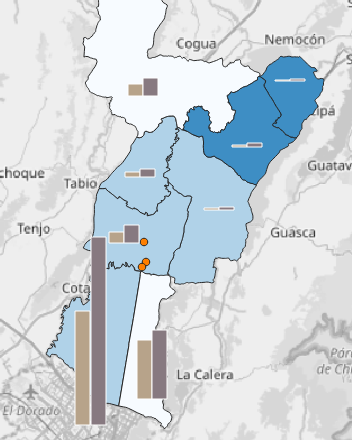 Displaying multiple similar overlapping polygons in QGIS? 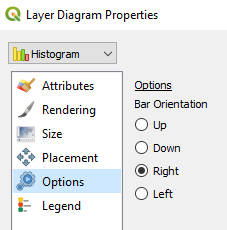 Is export of QGIS layer styles to mapnik possible?